Takachiho Onsen is in the northernmost part of Miyazaki Prefecture. 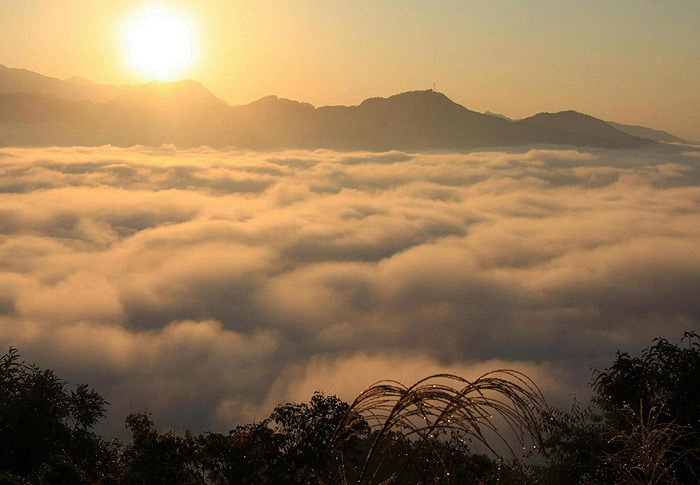 According to Japanese mythology, Takachiho is the land where Ninigi descended from the heavens, sent by Amaterasu, the sun goddess. 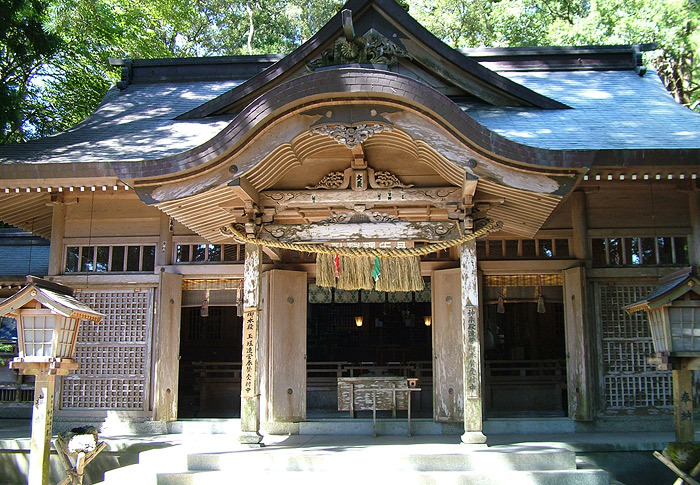 It contains the Ama-no-Iwato shrine which is, according to myth, the location of the cave where Amaterasu hid until Ame-no-Uzume lured her out. Takachiho is known as a "power spot", a place of profound religious importance and natural beauty, which radiates spiritual energy. 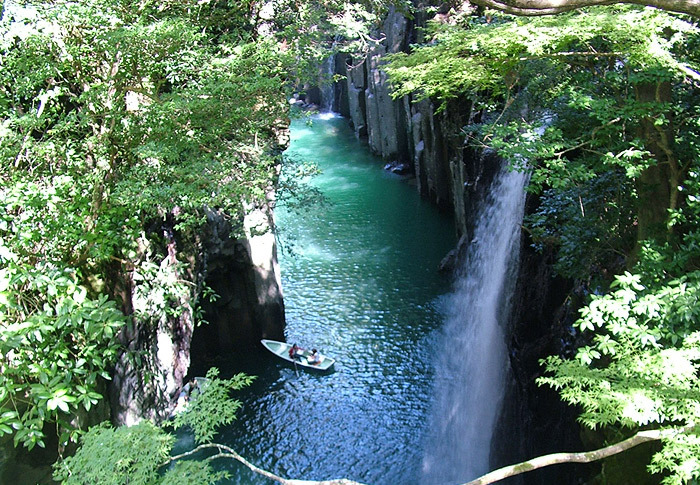 For more information about Takachiho Onsen please see our travel content partner Japan-Guide. Welcome to Shinsen Ryokan. 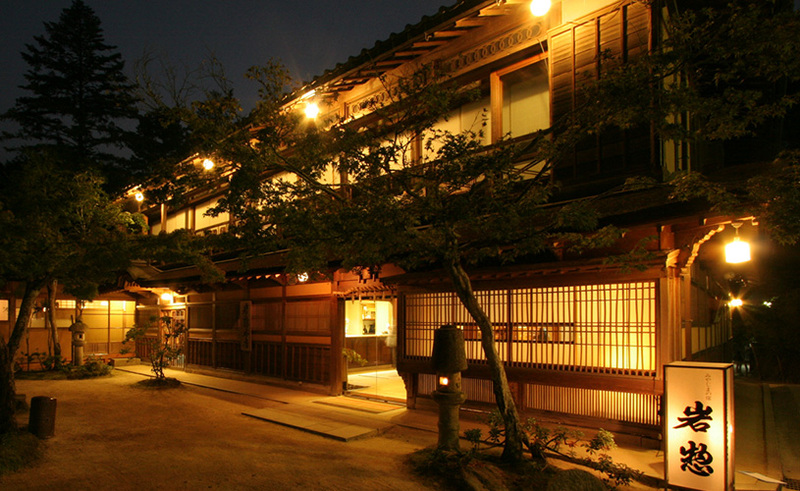 There are 13 Japanese-style rooms as well as a Japanese garden at this Traditional Ryokan. 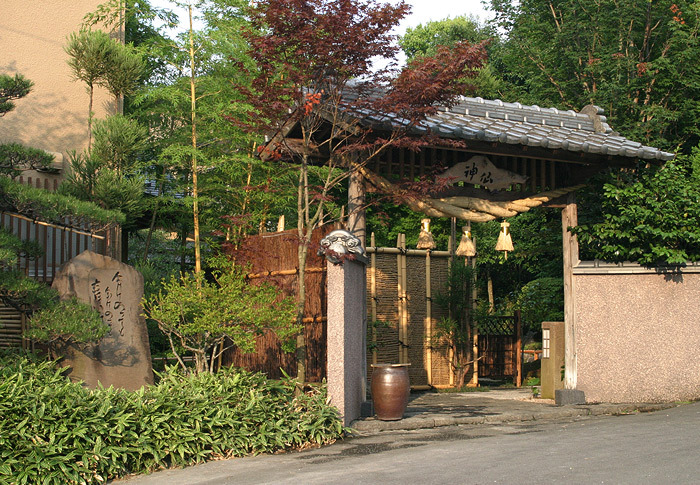 The women's and men's shared baths at Shinsen Ryokan (same gender only) are open 24 hours a day. Three of the guest rooms have their own baths as well. Fresh, local, Japanese style meals are served to the guests. Check-in time is after 15:00 and check-out time is before 10:00 am. Parking is available. Welcome to Hotel Takachiho. 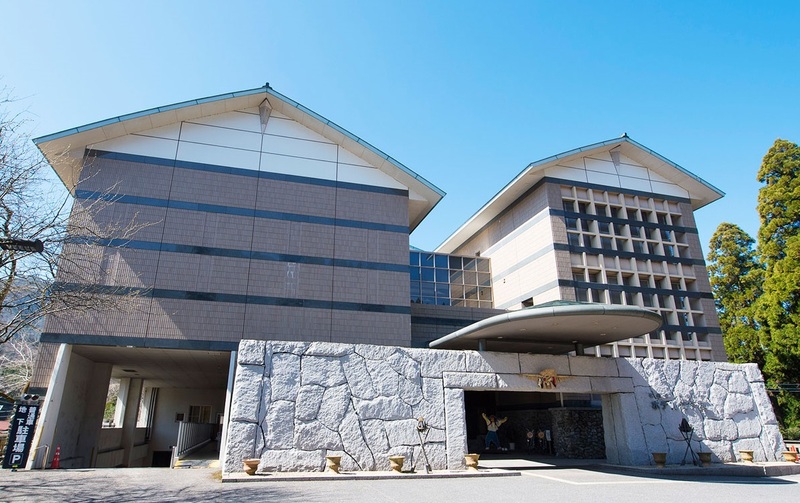 Hotel Takachiho is conveniently located, within walking distance of Takachiho Gorge and Takachiho Shrine. There are 39 rooms at Hotel Takachiho.